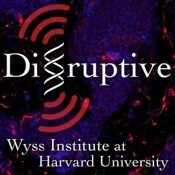 I’m excited to offer the first episode of DISRUPTIVE, my new monthly podcast series produced with Harvard’s Wyss Institute for Biologically Inspired Engineering. 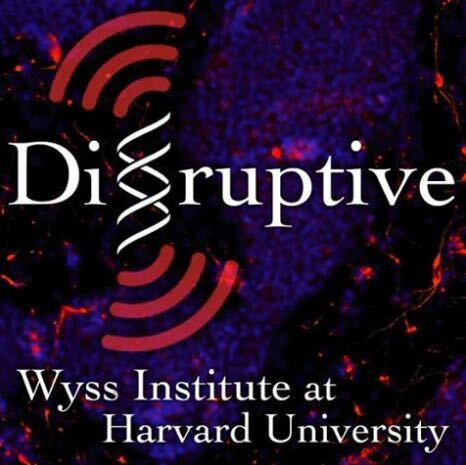 The mission of the Wyss Institute is to: Transform healthcare, industry, and the environment by emulating the way nature builds, with a focus on technology development and its translation into products and therapies that will have an impact on the world in which we live. Their work is disruptive not only in terms of science but also in how they stretch the usual boundaries of academia. In this inaugural episode, Wyss core faculty members Pamela Silver and George Church explain how, with today’s technology breakthroughs, modifications to an organism’s genome can be conducted more cheaply, efficiently, and effectively than ever before. Researchers are programming microbes to treat wastewater, generate electricity, manufacture jet fuel, create hemoglobin, and fabricate new drugs. What sounds like science fiction to most of us might be a reality in our lifetimes: the ability to build diagnostic tools that live within our bodies, find ways to eradicate malaria from mosquito lines, or possibly even make genetic improvements in humans that are passed down to future generations. Silver and Church discuss both the high-impact benefits of their work as well as their commitment to the prevention of unintended consequences in this new age of genetic engineering.